Grandpa told me there were wolves in the valley we grew up in, in southwest Washington. I suspect he told us that to keep us from getting lost in the woods. Later, I heard of wolf sightings in the Elkhorns in northeast Oregon, long before there were any confirmed wolves there. Whether the wolves of those days were fiction or fact, there were real wolves in the north-western United States prior to the introduction of the Canadian gray wolf in the early 1990s. In 1992, a black wolf was shot in the Teton Wilderness, south of Yellowstone Park. This wolf was a member of a pack of five animals. The hunter said they were all wolves, but the US Fish & Wildlife Service identified the rest of the animals as coyotes. Hmmm. If the wolves had been identified as wolves there would have been no obvious need to introduce Canadian gray wolves. According to the Federal government, there were no wolves in the area, so the wolves the hunter saw must have been coyotes. Cat Urbigkit wrote about what she calls a Conservation Tragedy, the extinction of the remnant native wolf, in the book The Real Wolf. Urbigkit was one of several contributors to the project written and edited by Ted B. Lyon and Will N. Graves. Urbigkit maintains that the introduction of larger Canadian gray wolves wiped out the smaller, remnant native. A visual representation of the two separate wolves is shown on page 33 with photographs of two wolves – one a Canadian gray and one a native wolf taken in 1933. 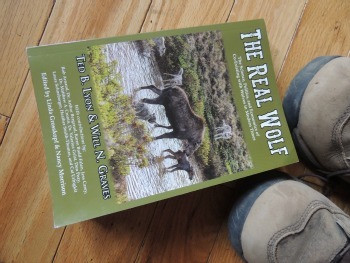 In The Real Wolf, authors Lyon and Graves take on the science, politics, economics and emotions of living with wolves. Wolves and men have coexisted, for better and for worse, forever. And legends, just like the legends that circulated in our little corner of the Northwest, have persisted for just as long. One persistent myth is that wolves have not been a threat to humans in modern times. Tell that to the relatives of Candice Berner who was killed while jogging on the Alaska Peninsula, southwest of Anchorage. Tell that to the friends of Kenton Carnegie, killed in Saskatchewan. An examination of the evidence shows wolves were a threat in Soviet Russia - where, between 1943 and 1947, wolves killed 60 people, including 46 children. Another myth is that wolves only kill what they eat. The science and the historical record shows otherwise. In June 2004, nine wolves in the Cook pack killed 70 sheep. In August 2009, wolves killed 120 sheep near Dillon, Montana. In August of 2013, wolves killed 176 sheep near Idaho Falls, Idaho. Another myth is that wolves only kill the sick and the weak. The book's authors cite more science, but I think it can be summed up by pointing out that if they only killed the sick and the weak, they wouldn't have killed whole flocks of sheep. We are also told wolves won't impact our hunting. How has that played out in Idaho? Canadian gray wolves have reduced elk herds there by at least 20 percent across the state. Local losses are much worse in some areas. Observers in Alaska are worried some caribou herds will disappear if wolf numbers are not cut back. I think the remnant populations of moose and caribou in Washington and moose in Oregon are at risk of going away, as well, if wolf numbers grow beyond their current levels. Is the wolf endangered? That's what animal rights groups tell us. As of this writing, there are an estimated 77 wolves in Oregon and about the same number in Washington. Idaho has an estimated 700 wolves with like numbers in Montana. North of the border, Canada has close to 60,000 and there are an estimated 11,000 in Alaska. There are more than 4,000 in the Great Lakes region. The wolf isn't going away. 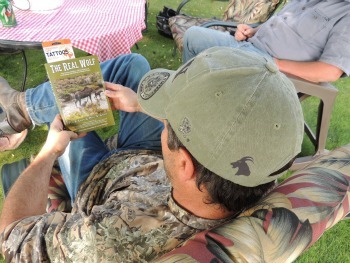 To learn more about the real wolf, this creature of myth and legend, read The Real Wolf. For more information, check out www.therealwolf.com.